Do you remember the beautiful, opinionated, red head named Donna Pinciotti on Fox’s sitcom, That ’70s Show? How could you not fall in love with her? After her role in That 70’s Show she guest starred in episodes of How I Met Your Mother, Medium, and Castle. Prepon was the youngest of five children and grew up in Watchung, New Jersey. Her mother was a high school teacher and her father was an orthopedic surgeon. When Prepon was only 13 her father died during heart surgery at the age of 49 years old. Prepon started acting in 1995 and also worked as a model in Paris, Milan, and Brazil. She played Donna Pinciotti, the love interest of Eric Forman, on That ’70s Show for eight seasons from 1998 to 2006. The show mainly focused on their relationship during the series, although they did have two breakups during the series. 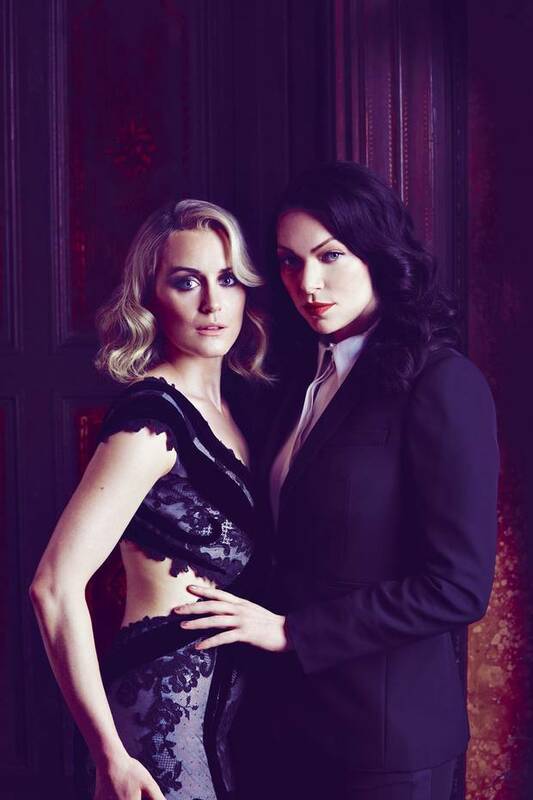 Laura Prepon landed the role of Alex Vause in 2013 on Orange Is The New Black, acting alongside Taylor Schilling, who plays Piper Chapman, Vause’s love interest. 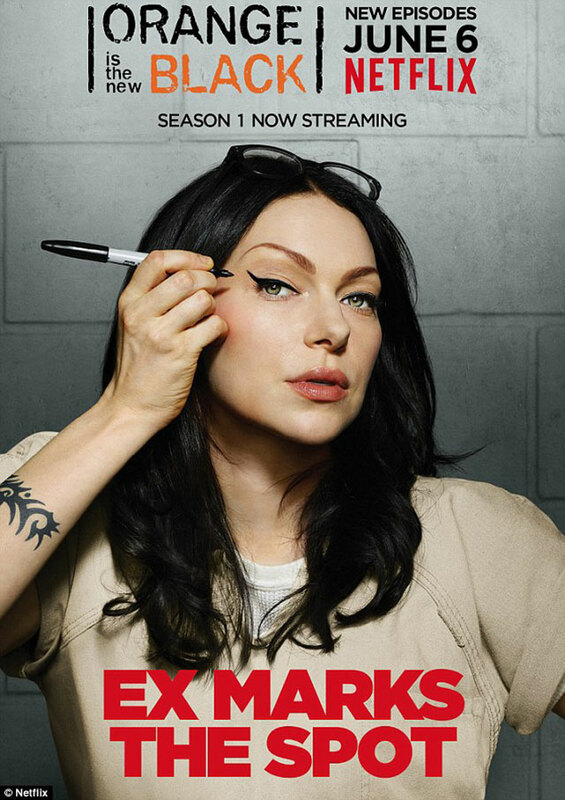 Piper Chapman was sentenced to 15 months in Litchfield Penitentiary, a women’s federal prison, after she was convicted of transporting a suitcase full of drug money to Vause – her former girlfriend. To say the least their on again, off again relationship is a huge thorn between the two because of an ongoing court case, and when Alex is angry at Piper she gives up her name, creating more turmoil between the two. 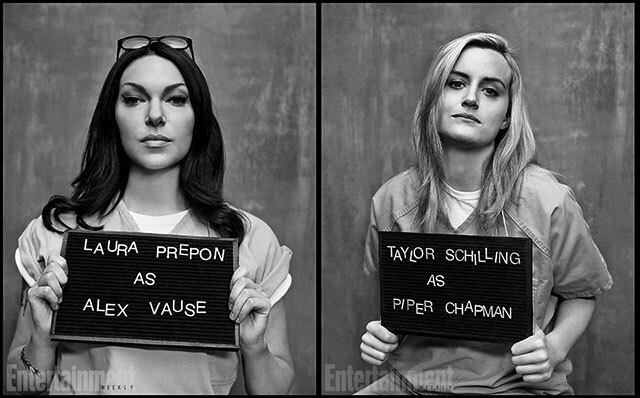 Orange Is The New Black Season 3 airs June 12th, 2015 on NETFLIX. Let the countdown begin – only 22 days left. This entry was posted in Women Crush and tagged alex vause, Donna Pinciotti, Laura Prepon, OITNB, OITNB Season 3, orange is the new black, piper chapman, Taylor Schilling, That '70s Show by Janey Grace. Bookmark the permalink.